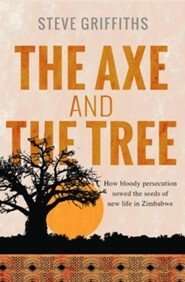 A powerful account of British missionaries, Peter and Brenda Griffiths, who played a critical role in the development of the Elim church in the aftermath of the Vumba massacre. Peter and Brenda Griffiths, Stephen's parents, and their team had set up a superb secondary school, only for guerrillas to slaughter almost all the staff. After their funerals Peter maintained that forgiveness for the attackers was the Christian thing to do. This is an inspiring story of Peter and Brenda's courage, sacrifice, and faithfulness in God, who despite the atrocities, continues to build His church in Zimbabwe. I'm the author/artist and I want to review The Axe and the Tree: How bloody persecution sowed the seeds of new life in Zimbabwe - eBook.